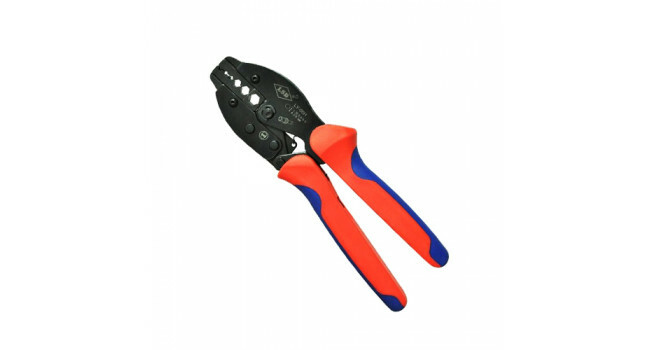 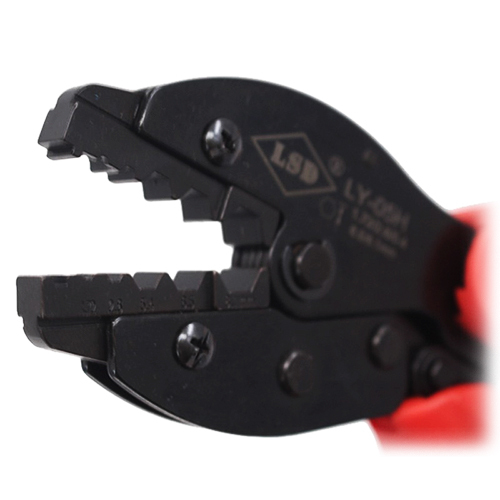 This Hand Crimping tool is great for any SMA or Coaxial connectors. 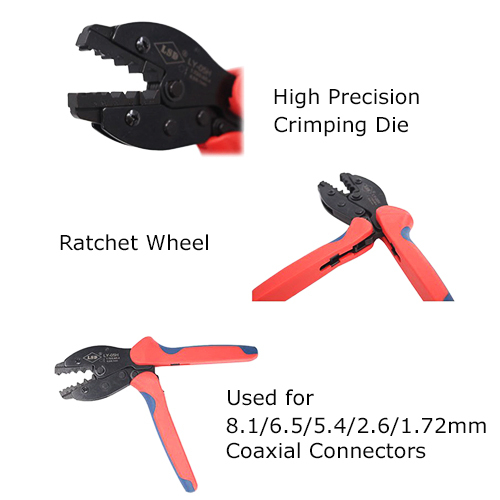 It can crimp 1.72, 2.6, 5.4, 6.5, 8.1 mm connectors. 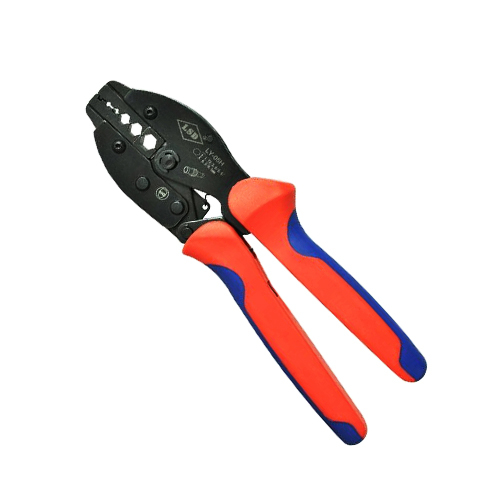 The built-in ratchet ensures the effectiveness of the force being applied, and the anti-slip grip allows for convenient use.